At His Voice Global, we understand Jesus’ command in Matthew 28:18-20 to mean that believers in “all nations” are to make disciples of “all nations”. With that in mind, our goal is to raise up local leaders to fulfill this Great Commission by teaching them how to make multiplying disciples among their own people. We have been asked to begin discipleship training classes in South Sudan as soon as things stabilize following the peace agreement being signed. In addition, the South Sudanese government is gifting land in each of the thirty-two states for the express purpose of planting churches there. In Arua, we are working with an indigenous pastor who will mobilize a group to of 25 to 30 who will go through our discipleship material beginning this May. 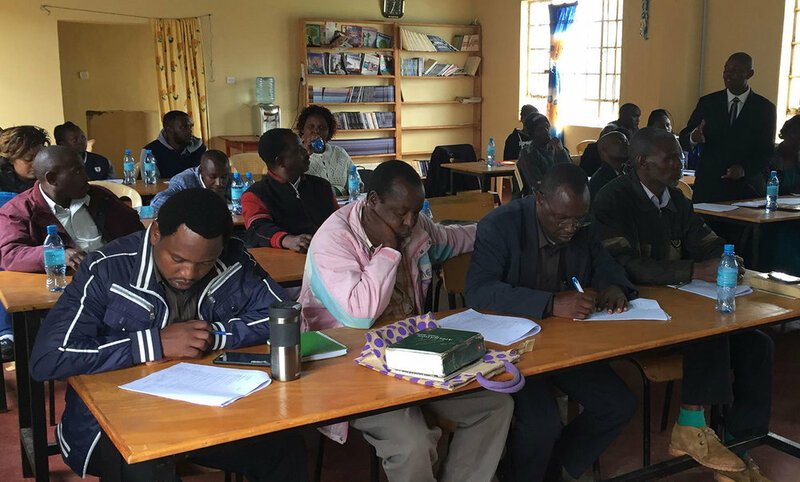 In a mostly Muslim state in Northern Uganda, we are working with other missionaries who have identified Muslim converts who wish to be discipled through our classes. We will begin there the second week of May. We are very excited to have this opportunity to see the gospel shared among the Muslim communities in that state. It should not be overlooked that His Voice puts an emphasis on molding “our own” students to be obedient disciples as well. Our on-the-ground missionaries in Arua, Uganda are not only “Mom and Dad” to the students there, but they are role models and discipleship trainers as well. It is gratifying to see how these college age students, on their own initiative, have become involved in ministry and discipleship to the little South Sudanese children who are among the million plus people in refugee camps surrounding Arua. Our 2019 goal is to raise $50,000 to fulfill all of these discipleship opportunities within the window of opportunity presented to us.